New Zealand has an array of things to do around Christmas time where there is an endless list of breathtaking places to discover on a road trip. Whether you are wanting to enjoy an action-packed road trip discovering the Fiordlands or if you would prefer to sit back and relax in the Marlborough wine region, the choice is yours. Make sure to book your car hire with VroomVroomVroom and spend your Christmas holidays in this magical country. For a different kind of Christmas experience, why don't you visit Fiordland - a World Heritage listed location known for its stunning beauty. You will be spoilt for choice when it comes to the different activities you can try. From hiking the Milford Sound track to cruising the Fiords and walking to the top of the Key Summit you'll be blown away by these views, trust us. Where to stay? There are many accommodation options in Fiordland. Popular places to stay include Te Anau and Manapouri. You'll find a selection of boutique and luxurious choices here as well as lodges, hotels and many camping options. Getting there: You can fly into Queenstown airport and pick up your car rental. Take Highway 6 and Blackmount-Redcliff Road. 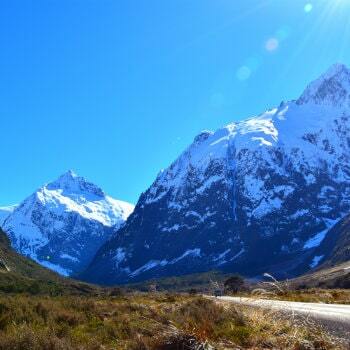 Proceed to drive to Borland Road in Fiordland National Park. 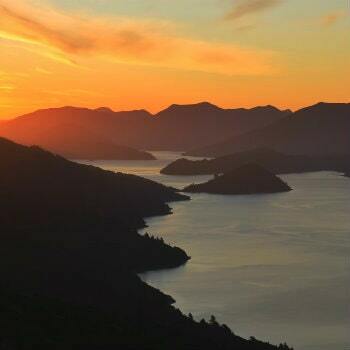 Tantalise those taste buds, hike your way through the Queen Charlotte Track, cruise around the Sound and go whale watching in and around the Marlborough region. Christmas in Marlborough has to be a top contender. Whether you are on a romantic getaway or with your family, this location has amazing options. Where to stay? There is an array of winery accommodation options as well as apartments, B&B's, holiday houses, hotels and lodges for everyone's wants and needs. Getting there: You can fly to Marlborough airport and pick your car hire up right here in the region. 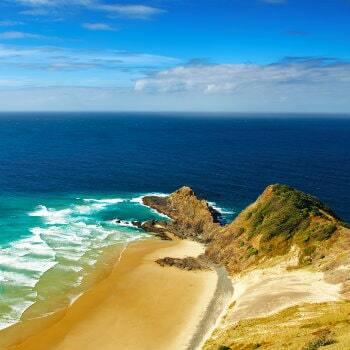 Cape Reinga is where the Pacific and Tasman Sea meet at the Northernmost point of New Zealand. This location is ideal for a Christmas road trip due to the impressive beaches and warm weather. Make sure you visit 90 Mile Beach as well as stand out locations including Tapotupotu Bay, Spirits Bay and Kaitaia. Cape Reinga is a spiritually significant place as people believe that people's spirits pass through this point to the afterlife. Where to stay? There are many lodges and camping locations at Cape Reinga. Getting there: You can fly into the Bay of Islands and pick up your rental car. It will take you 2 and a half hours to drive up the coast via State Highway 10 and 1. Did you know that Gisborne is the first place in the world to bring in the New Year? 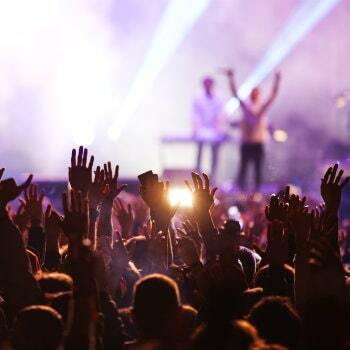 If you are wanting to celebrate Christmas and celebrate New Years with many festivities, you must check out the iconic Rhythm and Vines festival as well as the array of Gisborne Christmas events. Where to stay? There is quite a lot of accommodation in Gisborne. There is something for everyone's budgets and needs. Getting there: Fly into Auckland airport and pick up your rental car. It will take you just over 6 hours to drive to Gisborne. You can stop over in Hamilton and Rotorua on your way.